Jump At The Sun, 9780786818716, 40pp. One holiday season Ellie makes three wishes: that her parents will see that her friend Billy Lee is not imaginary; that snow will fall on Septon's Creek for the first time in fifty years; and that joy will return--especially to her parents, who always seem worried lately. Billy Lee always says, "There is magic in believing something good with all your heart." When Ellie begins to believe, all kinds of miracles occur, from broken tree lights twinkling again, to angel shapes appearing in snow, to the biggest one of all: a baby brother arriving soon. Designed for families to read together on Christmas Eve, this story captures all the wonder and mystery of the holiday. 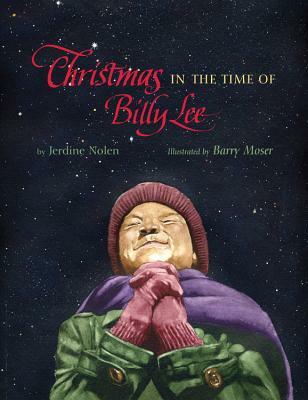 Jerdine Nolen (www.jerdinenolen.com) is an educator as well as the author of several picture books, including Pitching in for Eubie, illustrated by E.B. Lewis. Her first book was the classic Harvey Potter's Balloon Farm. She lives in Columbia, Maryland. Barry Moser is a renowned artist, printmaker, and the illustrator of more than 200 works, including, most recently, Lousy Rotten Stinkin' Grapes by Margie Palatini. He lives in western Massachusetts.